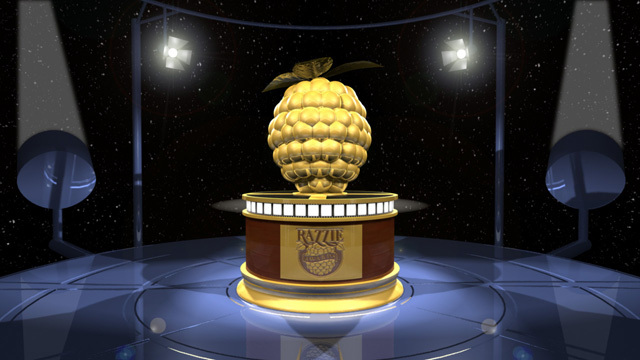 The Golden Raspberry Award Foundation has announced the nominations for the 37th Razzie Awards right before the Oscar nominations take place tomorrow morning. The crop of what they say was cinematic crap in 2016 was apparently so extensive that this year’s 37th Annual Razzie Awards is expanding from five nominees to an unprecedented six contenders in each of its nine Worst Achievement in Film categories. Check out a complete list of all the not-so-prestigious nominees below! Do you agree with what the 37th Razzie Awards are calling the worst of 2016? Leading this year’s list of movie-misfires are the 15-years-too-late sequel Zoolander No. 2 and the WTF comic book battle-royale Batman v Superman. Each is up for both Worst Picture and Worst Prequel, Remake, Rip-Off or Sequel. Other Worst Picture nominees include Dirty Grandpa, Gods of Egypt, Hillary’s America and Independence Day: Resurgence. Acting contenders include Ben Affleck, Johnny Depp, Julia Roberts and Robert de Niro. “Winners” of this year’s tackiest Tinsel Town trophy will be revealed on Saturday, February 25 – the now traditional day before the 89th Annual Giving Out of the Little Gold Naked Men. Voting Razzie Members (1,014 from 49 US States and 24 countries) selected contenders in 8 of our 9 categories. For Worst Screen Combo, they partnered again with Rotten Tomatoes where tens of thousands of users picked the nominees.